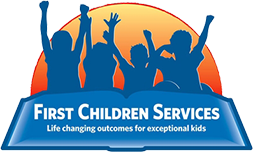 First Children Services is a combination of three organizations: First Children, LLC; First Children Learning Services, LLC; Regional Enrichment and Learning Center, LLC. Born out of a common mission to achieve Life Changing Outcomes for Exceptional Kids the three companies provide a wide range of home, school and clinic based services to children and their families throughout New Jersey. First Children Services started with the vision of its founder, Joseph J. Hess, Jr., who has spent over 30 years working for children with special needs and their families. He wanted to create an organization that not only provided effective services but one that held itself accountable to those who pay the bills. First Children Services achieves by hiring the most qualified staff, providing them with the tools to assure they are highly productive and constantly supporting them in going the extra mile to assure that children make progress. First Children Services is proud of the fact that it is a family owned and operated organization. Putting one’s resources on the line everyday has a way of keeping one focused. In our case that focus is the children we serve and their families. If they are happy, we are happy. If they are making progress, we progress along with them. If those who entrust their children to our case are satisfied with our services, then we are incentivized to do more. It keeps things simple. We are very fortunate at First Children Services to have a cadre of world class advisors guiding what we do for children. Similarly, we have a Senior Management Team second to none regarding their experience and commitment to children. On any given day FCS touches the lives of more than 1000 children and families with a dedicated workforce of nearly 200 teachers, therapists, paraprofessionals and support staff. The organization works with over 40 school districts in NJ; is approved by the NJ Department of Children and Families to provide behavior therapy and support services; and is in network with six major insurance companies.